University of Essex (Colchester Campus). Room 4.722. 11 a.m. to 5.30 p.m. 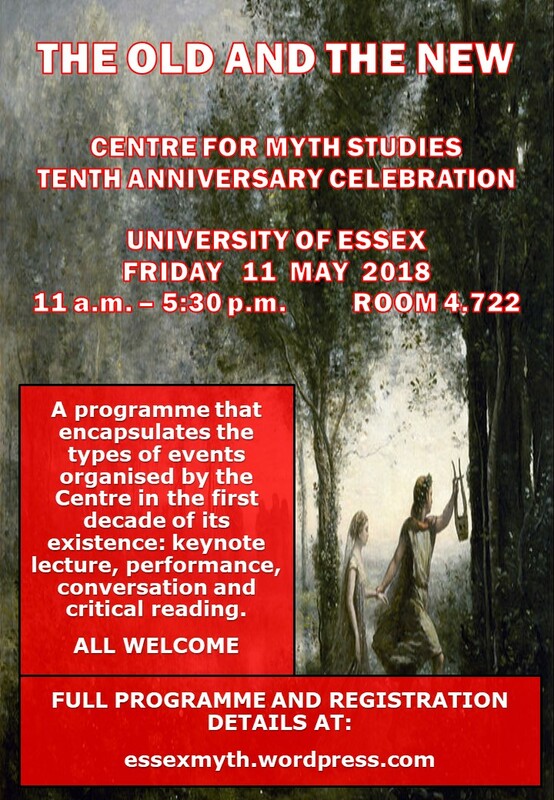 The Centre for Myth Studies at the University of Essex invites you to a celebration on 11 May 2018 to mark the tenth anniversary of its foundation. The day will engage with a programme that encapsulates the types of events organised by the Centre in the first decade of its existence: keynote lecture, performance, conversation and critical reading. The celebration will conclude with a convivial meal in the evening. 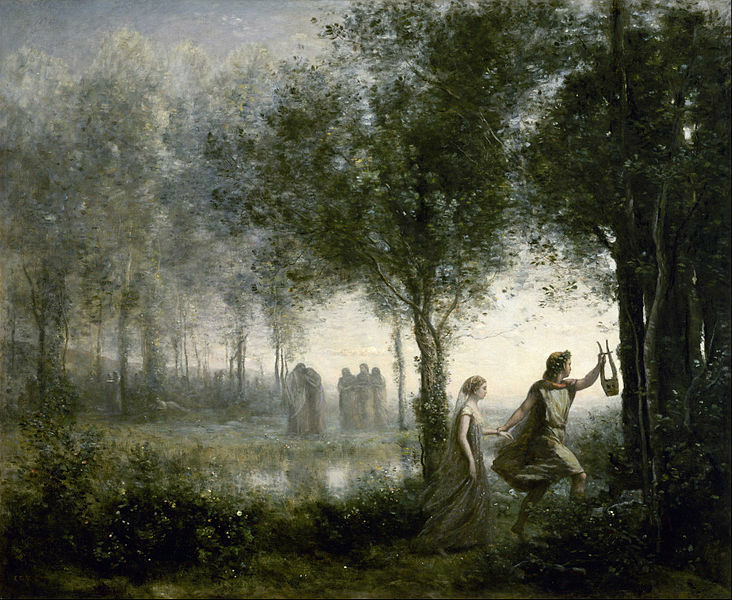 Throughout the ages, myth has demonstrated a force for regeneration. 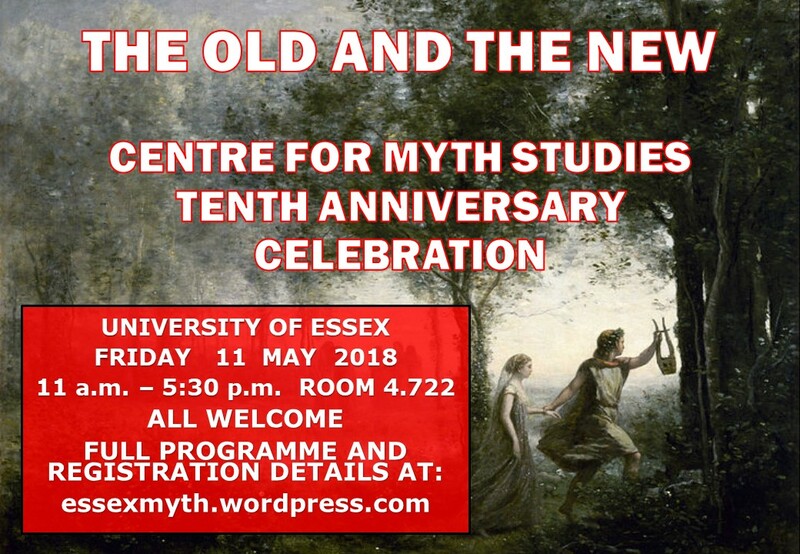 The theme of the old and the new acknowledges this central quality of myth, its capacity for reunion and renewal, bringing people together in a revitalised community. Room 4.722 is in the Psychology building on Square 1 — near “Entrance 3” (the western end closest to the railway line). Click here for link to campus map. All are welcome to attend the day’s activities free of charge, but are requested to register in advance. Please note that participants will be able to obtain their own lunch from one of the many catering outlets on campus. The evening meal, at the Wivenhoe House Brasserie, is not included in the free registration. 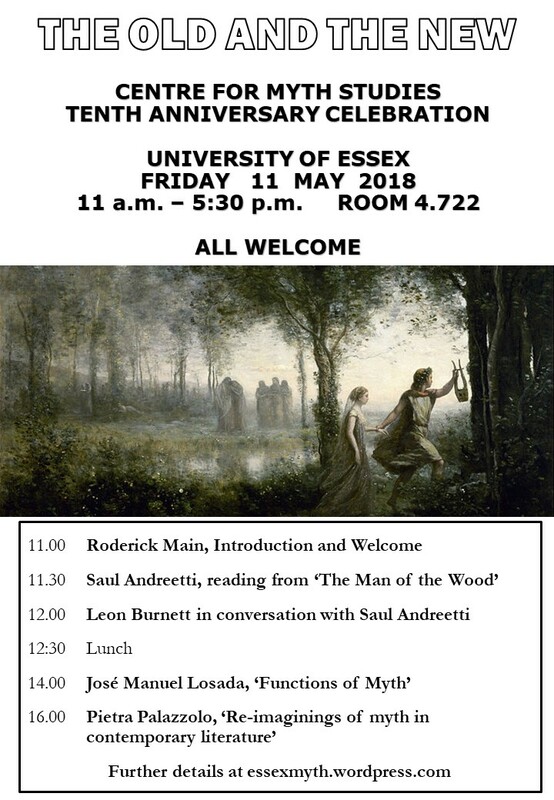 If you wish to attend the dinner please inform us by Monday, 7 May (email: mythic@essex.ac.uk). Download and share our posters for the event! In PDF format for printing, or JPG for online use (click on thumbnails for JPGs).